LAKE LURE, N.C. (April 16, 2013): Move over kayaks because the dragon boats are coming back to town on June 15. The Lure of the Dragons Boat Races and Festival in Lake Lure challenges the typical mindset of paddling in Western North Carolina. 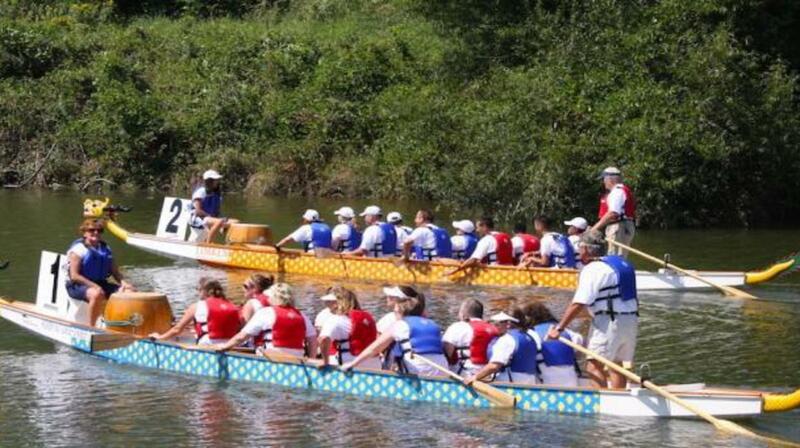 Teams of 11 rowers sit side-by-side on a 30-foot dragon boat - literally adorned with dragon head, tail and scales - and paddle at racing speeds to the cadence of a pounding drummer seated in the rear. The inaugural festival in 2007 saw 18 teams, 198 paddlers, over 2000 spectators, To date, the festival has raised more than $25,000 for local children?s charities and attracted teams from across North Carolina, South Carolina, Tennessee, Ohio and Georgia. The festival that accompanies the dragon boat races offers family fun while showcasing a combination of Asian and Southern culture. Click here to see last year?s festival highlights. With teams in six different divisions each vying for first place, spectators vigorously cheer on the bounty of boats. Divisions include Masters (50-years-old and older), Youth (Ages 12-18), Premier, Community, Corporate, and Breast Cancer Survivor. The festival continues to grow and attract paddlers from across the country. Learn more at http://www.lureofthedragons.com. Experience these adventures and more when you travel to Rutherford County, N.C. – the Front Porch of the Blue Ridge Foothills. Home to Lake Lure, Chimney Rock, Rutherfordton, Spindale, Forest City and Bostic, there is a world waiting for you to explore, enjoy and love. Plan your trip today at http://www.rutherfordtourism.com or call 800-849-5998.